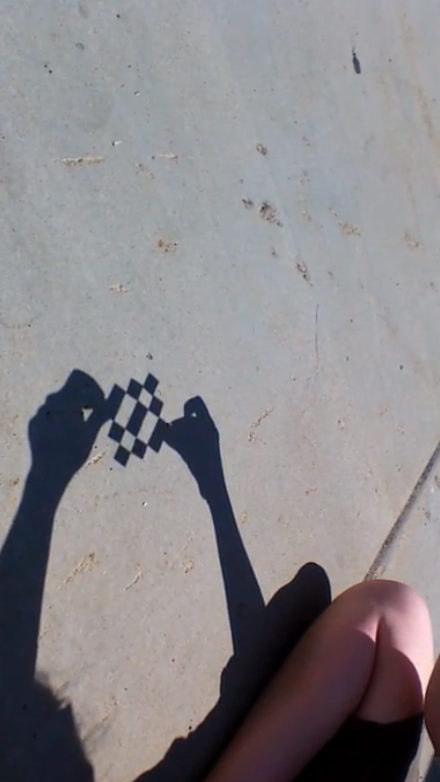 Craig Russell’s shadow math was absolutely mesmerising. 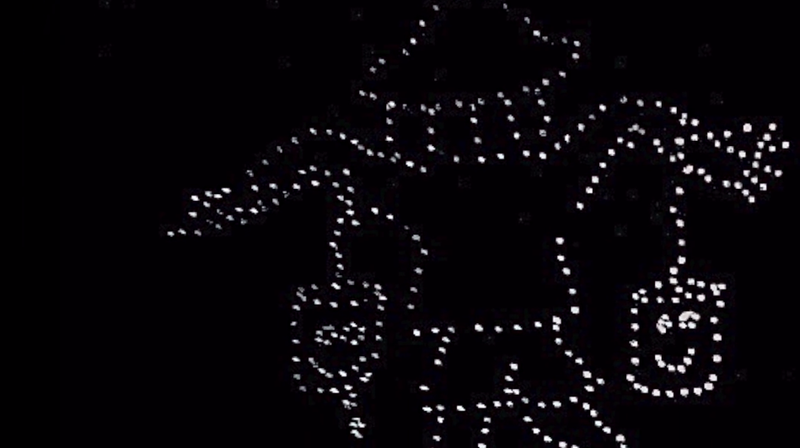 We’ve never seen someone suggest a story about math through shadows before. This is a great example of showing something abstract through a visual representation, translating one discipline into a form that may be more understandable for certain types of learners. 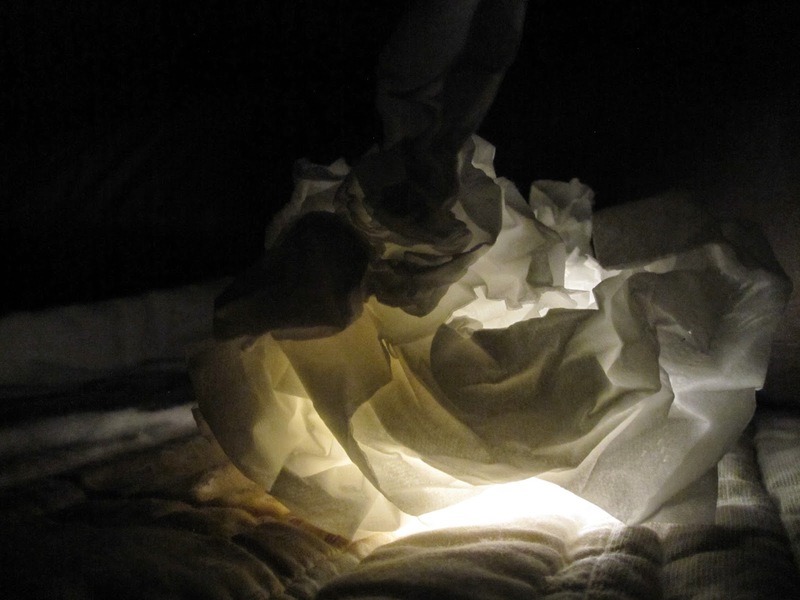 Another great storytelling using light project was told with some simple materials—a flashlight, tissue paper, and a camera. Babes told the story of the experience of life as seen from the perspective of a baby in the womb. In particular, we liked Susan Watson’s sense of play with materials, and how she let her perceptions and instinct guide the story. She tinkered! 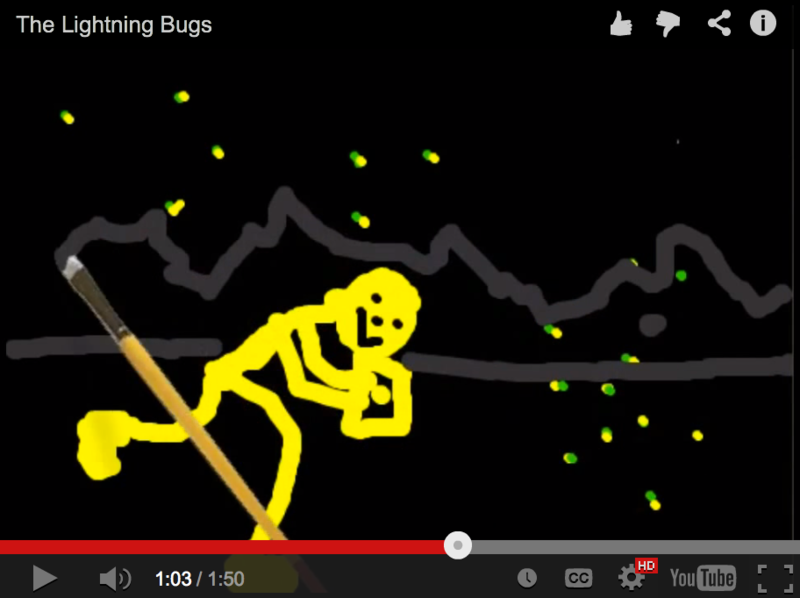 Larry Hewett’s Lightning Bug story that he created with his students is beautiful, and exactly what we’re all about! We’re glad he brought the prompt, and the spirit of experimentation and collaboration to his classroom. In the Make With Me hangout we got a great opportunity to talk about physical making and how we lead these types of workshops at libraries across Philadelphia. Some interesting questions were raised about the long, often under-acknowledged history of tinkering, and how it’s come full circle with the maker movement, and with new resources, most notably the Internet as a purchasing, sharing, and knowledge-building resource. We also talked about weaving together maker activities and literacy/storytelling (it’s possible!) and how that often gives youth the chance to personalize and give meaning to the object they’re creating in production-centered ways. Something we didn’t discuss much during the hangout was the learning theory Constructionism, coined by MIT professor Seymour Papert. Papert claimed that people construct new knowledge when they’re creating something personally meaningful, and sharing that within their community. A special kind of Connected Learning happens when you’re engaged in the making process, that doesn’t happen when you’re in a traditional lecture-style classroom. It enables the learner to be creative, and to follow the germ of an idea, something that doesn’t happen in many no-frills schools where students are tested solely on their ability to answer a question correctly. We enjoyed the Twitter chat quite a bit, and got a good chance to see what projects people liked best and felt most engaged with. One tangent of the conversation resonated with several people in the chat, specifically the question “What is a story?” It was interesting and completely unexpected for us to see this conversation unfold. Our intention of the Make Cycle and Twitter chat was explore making materials and storytelling processes, rather than focus on the inherent “story-ness” of a story, but thus it is in an open learning environment, and we welcome it. In fact, the group decided they wanted to continue on this avenue, and next week, Tuesday, July 22nd at 5PM EST will be a special Hangout all about making and storytelling. So much of our dive into making depends on our own creativity and willingness to loosen the reins on what we think we’re capable of learning and doing. This is a lesson that everyone on the Maker Jawn team has had to face (several times)—putting ourselves into the uncomfortable position of being a novice and a learner. What happens when we have to be the one asking questions? What happens when we have to play with new materials that we haven’t mastered? What happens when we try to create something, and it doesn’t “work” or have our intended result? We have often found that it’s frustrating, and sometimes panic-inducing. Our advice? Give ourselves the time, safety, comfort, and freedom to play. We are not going to get whatever we are aiming to do “right” the first time, so we work to accept that now. And if we are open to failing repeatedly, we are going to be more more open to discovering something that interests us as we tinker. Our Maker Jawn model of community/library-embedded making is to create a socially safe environment where failure is accepted as part of the design and connected learning process. We think that by opening up psychological space and possibilities, we increase access to maker, STEM, STEAM, etc, to more people—the kinds of people who aren’t going to be the first in line to sign up for a robotics class. We want to attract the youth and the adults who are intimidated by technology. Often, they tend to be the ones who create the most interesting things, and can be taught to see technology as a tool, rather than as an end in itself. How can you use technology and how can you use something like an LED to construct meaning out of the world? How can you use it to tell a story? Can you put yourself in the role of a learner, and let a youth teach you? Maybe even discover new tools and pathways together? Continue making! Please experiment with new tools (glowdoodle is a great place to start! or the long-exposure photography app!) and keep posting on the G+ community! The sixth Make Cycle led by the Hudson Valley Writing Project begins on Monday. We look forward to seeing more projects, and if you have any questions for us throw them out on the G+ community! We’d love to keep the conversation going.